You can plan on SSUR to have a sense of humor. Such as with their collaboration with CLOT — e.g. the COCO Made Me Do It collection — the Los Angeles label always takes a subversive bite out of iconic brands and characters, even if it is for commercial gain. 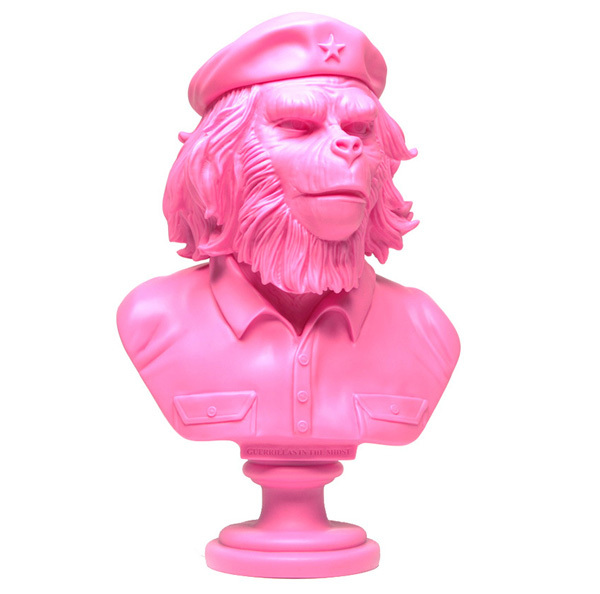 Now SSUR have teamed up with manufacturers 3DRetro to bring their Rebel Ape character to three dimensional life. 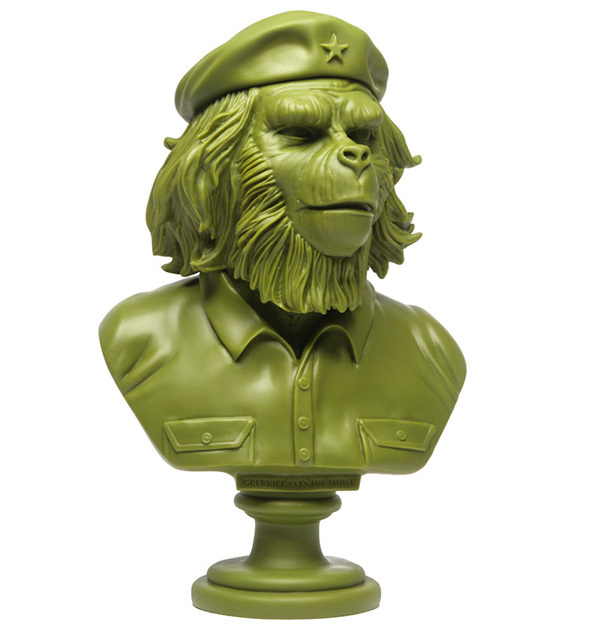 Clearly an amalgamation of Che Guevara and Cornelius from the landmark 1968 film Planet Of the Apes, the 12″ vinyl Rebel Ape bust is available now in black and olive green (above), as well as five more colors (including pink below) spread throughout the year. Keep an eye out at SSUR.